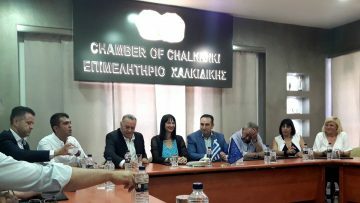 Tourism Minister Elena Kountoura during a meeting at the Halkidiki Chamber. Speaking during a recent meeting held at the Halkidiki Chamber in Polygyros with local tourism professionals and state authority representatives, Minister Kountoura referred to the ministry’s targeted actions to extend the tourism season, promote new destinations in Halkidiki and attract high-income visitors and new investments. The meeting was attended by Hellenic Hoteliers Federation (POX) President and Halkidiki Tourism Organization Chief Grigoris Tasios, Halkidiki Vice Governor Yiannis Giorgos, Polygyros Mayor Asterios Zografos and other officials. 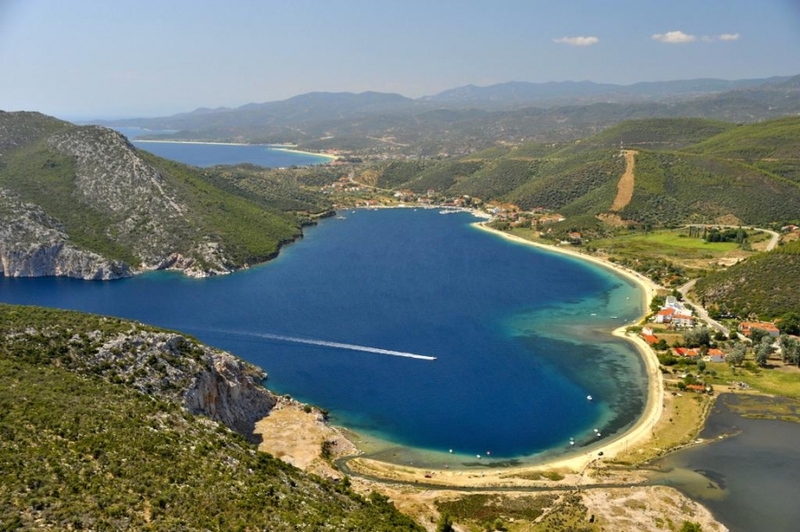 Key issues discussed during the meeting included Halkidiki’s potential for further growth; the development and promotion of thematic products such as cultural, pilgrimage, sea tourism and gastronomy; the connection of tourism with the local products. Kountoura was also informed on the issues that currently concern the local authorities and discussed their proposals on further improving tourism infrastructure and ensuring the legal operation of accommodation units and camping sites.